Ok, I could not just stop at min. I decided on the first few days of vacation I would come up with a "button only" version. 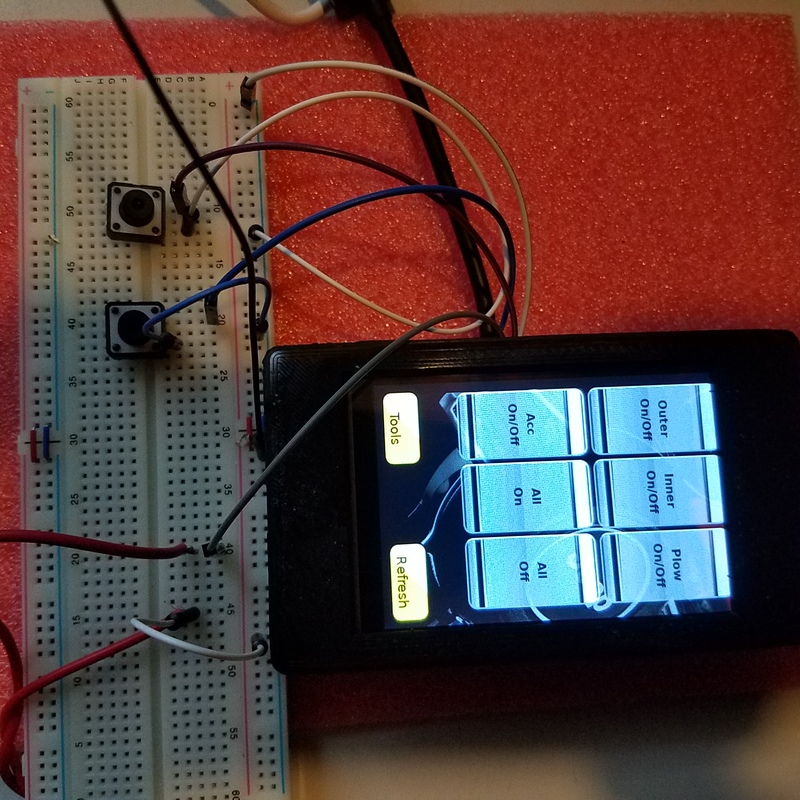 Reusing all of the code for the bluetooth triggers, I was able to get it done in fairly short time. Press a button, pi zero sends the bluetooth comand to the relay to toggle the relay. I did however like the idea of using interrupts, though I did end up doing a while loop. 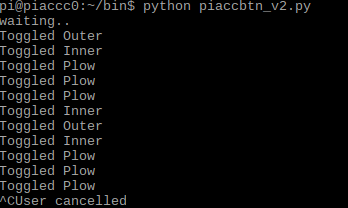 This was simply due to the fact that it will only be performing this function and I did not need to sacrifice a GPIO pin for exit since all of the buttons perform the same function. As it shows in the two pictures that it is able to run along-side the min-version or the console version. Possibly I could add buttons on the top of the console for manual toggles over a browser based toggle of the relays. This does also promote an even more reduced footprint and cost overhead. At approximately $2 per button, $16 for the pi zero (with headers may be overkill at this point, simple solder would suffice), bringing the cost of the mini-min manual console under $25 for a 4-6 button unit. It would also greatly reduce the size of the 3d Printed mesh to contain it. An overall price would be $25 for the piACC mini-min console and ($35 relay HAT, $16 pizero WH) = $51 Relay Unit.. to around $75 US. While this was all and good, it would not load on boot. After a few hours of playing, I was able to adjust everything as needed. It will not initialize a connection until a button is pressed. I believe this was also part of the problem since the daemon was probably timing out waiting for the bt connection on load.